Property in New Orleans is selling FAST! 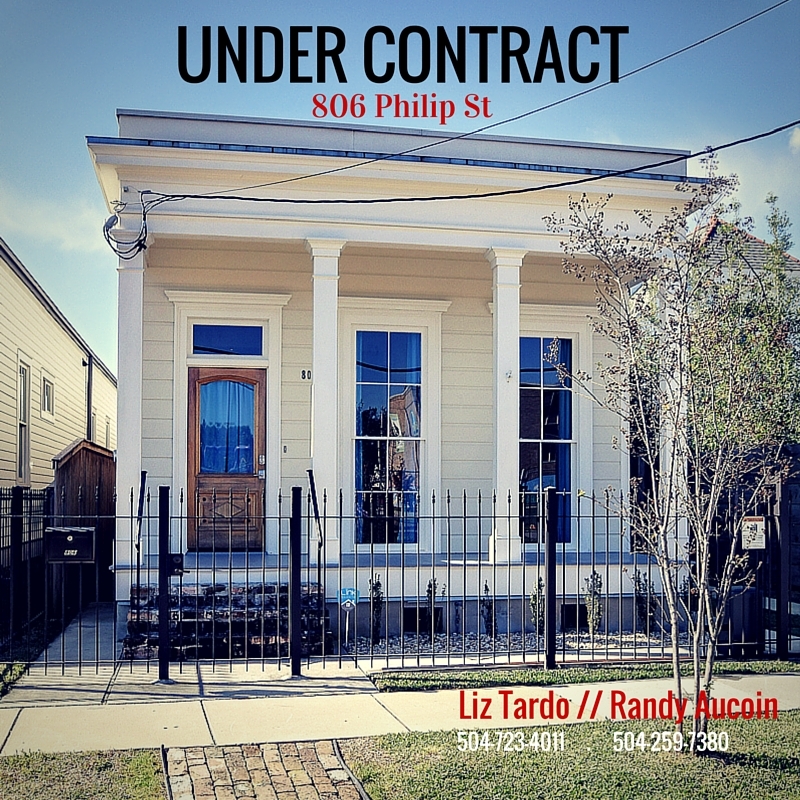 Two of our newest listings went under contract in the first couple days, 806 Philip Street in a mere 24 hours! If you have any questions about this hot New Orleans real estate market, either as a buyer or seller, please call or email us.